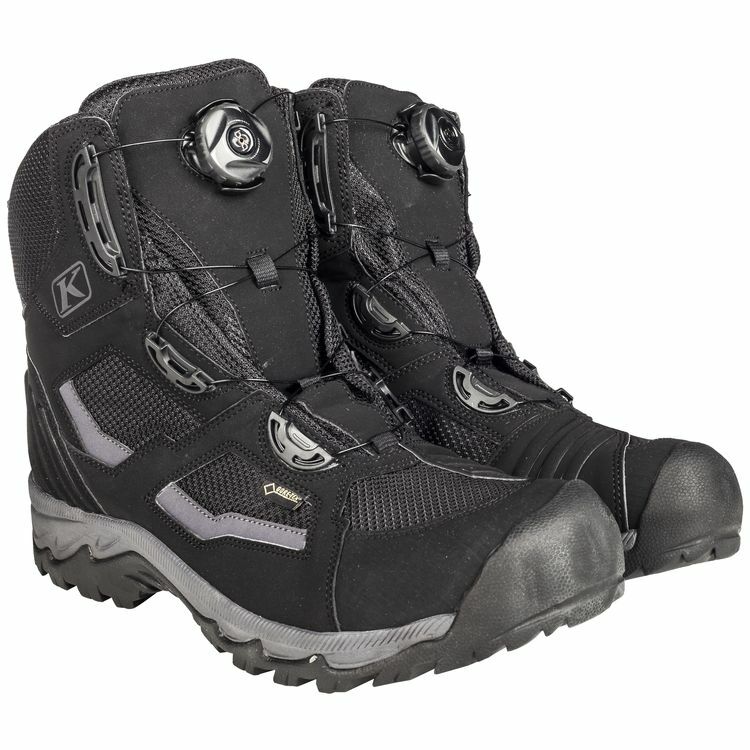 Klim Outlander GTX Boots take the DNA from a protective touring boot, a functional hiking boot and a frog (to fill in the gene sequence gaps) to create a boot that pulls double duty on and off the bike. A heel to toe lasting board provides support for standing on pegs. The Single BOA lacing system makes exit and entry into the boot quick and easy. Gore-Tex waterproofing keeps out water on the trails whether you are on foot or on two wheels. D3O protection over the ankle and tongue reduce the force of impacts.